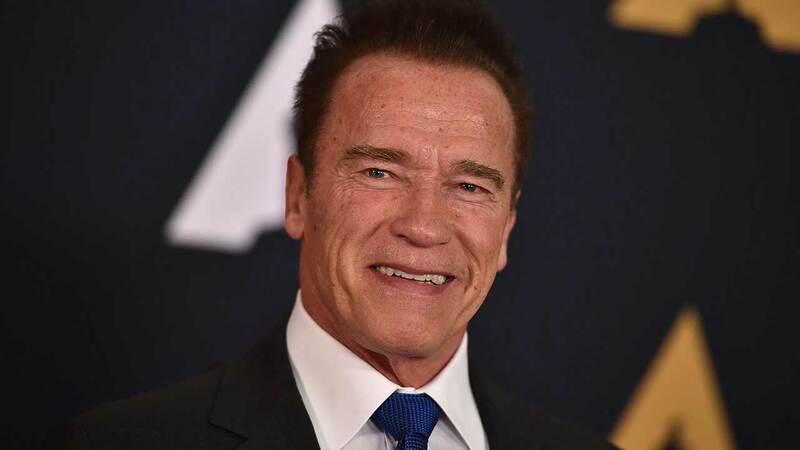 NEW YORK -- Arnold Schwarzenegger said Friday that he's through with "The New Celebrity Apprentice," and he's blaming President Donald Trump for the television reality show's recent poor performance. The former California governor said he wouldn't mind working with NBC and producer Mark Burnett again "on a show that doesn't have this baggage." Schwarzenegger replaced the president as host of the show, but Trump remained as an executive producer. The president taunted Schwarzenegger for the show's recent poor performance in the ratings, even mocking him during an address at the National Prayer Breakfast. The show, which wrapped up its 15th season last month, averaged fewer than 5 million viewers per episode. That was lower than any other incarnation except for a 2010 Trump-hosted edition without celebrities, and the most poorly-rated edition among the youthful viewers NBC cares most about, the Nielsen company said. Even if he were asked again, Schwarzenegger said he wouldn't want to do it. "With Trump being involved in the show people have a bad taste and don't want to participate as a spectator or as a sponsor or in any other way support the show," he said in an interview with the Empire web site. "It's a very divisive period now and I think this show got caught up in all that division." After Schwarzenegger's debut in January, Trump took to Twitter to report the show had been swamped "in comparison to the ratings machine, DJT" - using his initials. Schwarzenegger shot back on social media that he hoped Trump would work for the American people as aggressively as he did for his ratings.